Wind though leaves, and birds in trees - that's what made a morning in the forest. Almost out of reflex, Dara raised her camera and took a shot or six. Unremarkable photos, but they'd be memories. This is what serenity looks like. As much as she enjoyed hot and cold running water, the internet, walls, there was something about this place that made her whole. He was all the way back to his own camp when he realized what he'd done. What he'd really done - not taught Josh a lesson, no. He'd told two strangers, two dangerous strangers, that he was there. He was real. It was just like Dara to make the best out of it. She was always the devil's advocate. Always the one trying to see it from both sides. That's why she liked pictures, she said. The image was the truth, but what interested her were the things people put into it. Dara reached for him. "Cade . . ."
Very quietly, he said, "I think she lied." And then, instead of reaching back, he turned away. I haven't come across a lot of retellings of Tarzan. For instance, only two pop into my head: George of the Jungle and Disney's Tarzan. While I wasn't expecting an ape named Ape or Phil Collins singing is heart out, I was ultimately disappointed. Wild starts out strong. We immediately introduced to our two central characters, Dara and Cade, as they experience the world through different lenses. Cade has lived in the woods since he was a baby and Dara is camping with her boyfriend, Josh, for their spring break. The descriptions are detailed and wonderful, specifically while in the woods. I love the detail the Dara is a photographer as it gives us a different perspective then just somebody camping in the woods. However, there is no in-depth look into our characters. I don't understand their motivations and I feel like an outsider in their lives. There is no immersion into the story, like I was standing outside a window and looking in. Cade is immediately drawn to Dara in an extreme way, but not having human contact in who knows how long it's slightly understandable. What makes it weird though is that Dara is the same way with Cade. When they get back to civilization she wants to protect him, but why? Because he saved their life? Okay, but he's still a wild man from the woods. Wild is very description heavy. There is not a lot of action, just day to day actives of these characters. This is where I had the biggest issue with just skimming the surface of their lives/thoughts. Cade has spent the entirely of his life in the woods and he adjusted rather well to the modern world. He's not awkward, highly confused about things, or shy of people. While he did have moments of confusion, if it weren't for the constant media presence you really wouldn't know that Cade spent 17 years in the woods. I'll be completely honest that for the last quarter of the novel, I was skimming more than I was reading. It didn't feel like anything was happening. Nothing significant anyway. 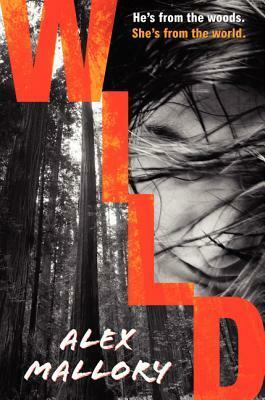 Wild isn't necessarily a bad book, but it could have been trimmed down from 400 pages. And while I skimmed a bit, I did read the last few chapters and found the ending to be rather fitting.